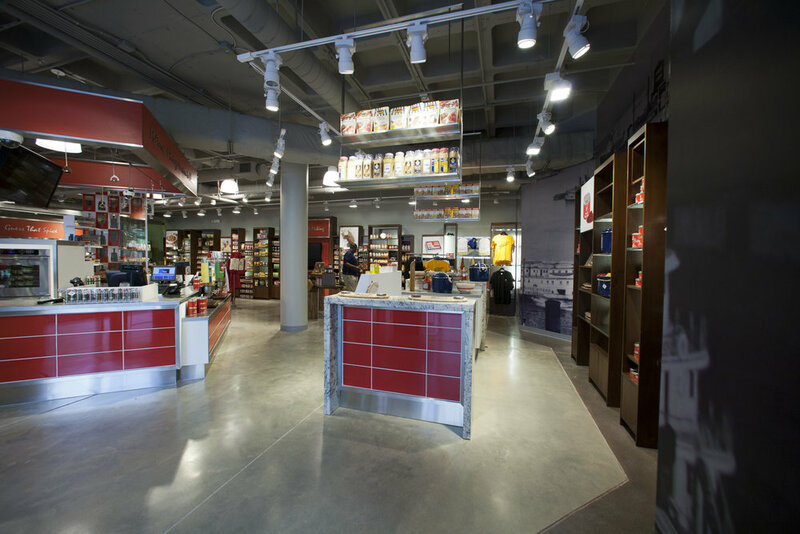 The former flagship store for McCormick was looking for a durable and industrial finish throughout their new store. 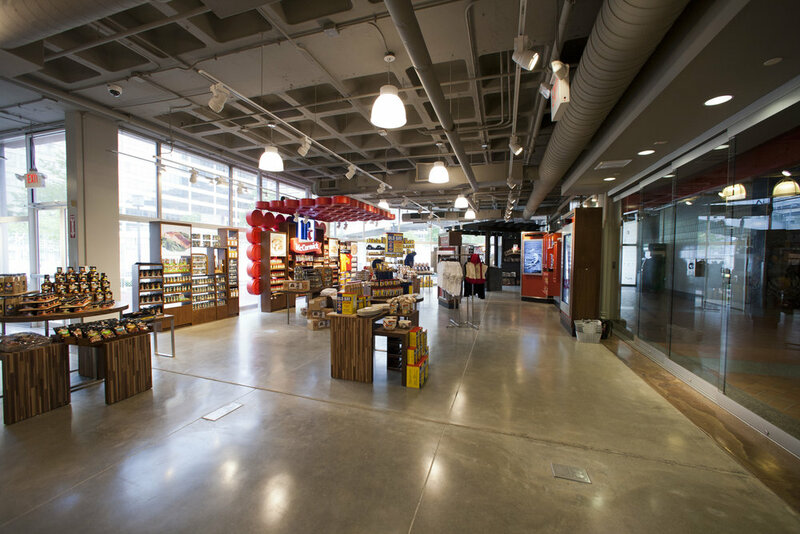 Polished concrete was recommended as a decorative and aesthetically pleasing solution. Due to the rough conditions around the edges of the concrete slab, Hyde sawcut a clean line and applied a dark stain to help blend the imperfections.